Seventy years ago today, three German students were executed in Munich for leading a resistance movement against Hitler. Since then, the members of the White Rose group have become German national heroes – Lilo Furst-Ramdohr was one of them. In 1943, World War II was at its height – but in Munich, the centre of Nazi power, a group of students had started a campaign of passive resistance. Liselotte Furst-Ramdohr, already a widow at the age of 29 following her husband’s death on the Russian front, was introduced to the White Rose group by her friend, Alexander Schmorell. Why did people support the Nazis? Schmorell and his friends Christoph Probst and Hans Scholl had started writing leaflets encouraging Germans to join them in resisting the Nazi regime. With the help of a small group of collaborators, they distributed the leaflets to addresses selected at random from the phone book. Furst-Ramdohr says the group couldn’t understand how the German people had been so easily led into supporting the Nazi Party and its ideology. “They must have been able to tell how bad things were, it was ridiculous,” she says. The White Rose delivered the leaflets by hand to addresses in the Munich area, and sent them to other cities through trusted couriers. Furst-Ramdohr never delivered the leaflets herself but hid them in a broom cupboard in her flat. 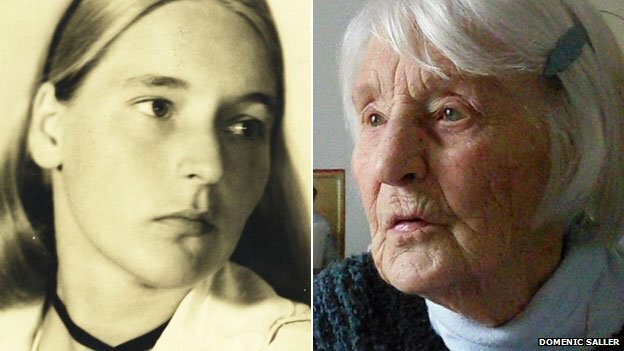 She also helped Schmorell make stencils in her flat saying “Down with Hitler”, and on the nights of 8 and 15 February, the White Rose graffitied the slogan on walls across Munich. Furst-Ramdohr remembers the activists – who were risking their lives for their beliefs – as young and naive. 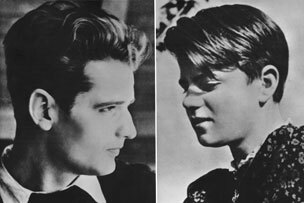 One of the best-known members of the group today is Hans Scholl’s younger sister Sophie, later the subject of an Oscar-nominated film, Sophie Scholl: The Final Days. Furst-Ramdohr remembers that Sophie was so scared that she used to sleep in her brother’s bed. The sixth leaflet produced by the White Rose was smuggled out of the country and scattered over Germany by Allied planes. For us there is only one slogan: Fight against the Party! Get out of the party hierarchy, which wants to keep us silent! The German name will be dishonoured forever if German youth does not rise up, to revenge and atone at once, to destroy their tormentors and build up a new spiritual Europe. Students! The German nation looks to us! “Hans was very afraid too, but they wanted to keep going for Germany – they loved their country,” she says. On 18 February, Hans and Sophie Scholl set off on their most daring expedition yet. They planned to distribute copies of their sixth – and as it would turn out, final – leaflet at the University of Munich, where students would find them as they came out of lectures. The siblings left piles of the leaflets around the central stairwell. But as they reached the top of the stairs, Sophie still had a number of leaflets left over – so she threw them over the balcony, to float down to the students below. She was seen by a caretaker, who called the Gestapo. 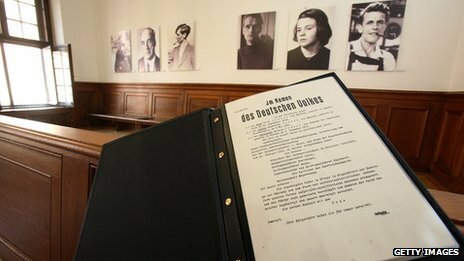 Hans Scholl had a draft for another leaflet in his pocket, which he attempted to swallow, but the Gestapo were too quick. The Scholl siblings were arrested and tried in front of an emergency session of the People’s Court. They were found guilty and executed by guillotine, along with their friend and collaborator Christoph Probst, on 22 February 1943. The rest of the White Rose group was thrown into panic. Alexander Schmorell went straight to Lilo Forst-Ramdohr’s flat, where she helped him find new clothes and a fake passport. Schmorell attempted to flee to Switzerland but was forced to turn back by heavy snow. Returning to Munich, he was captured after a former girlfriend recognised him entering an air raid shelter during a bombing raid. He was arrested, and later executed. Lilo Furst-Ramdohr was herself arrested on 2 March. “Two Gestapo men came to the flat and they turned everything upside down,” she says. “They went through my letters, and then one of them said ‘I’m afraid you’ll have to come with us’. Furst-Ramdohr spent a month in Gestapo custody. She was regularly interrogated about her role in the White Rose, but eventually released without charge – a stroke of luck she puts down to her status as a war widow, and to the likelihood that the Gestapo was hoping she would lead them to other co-conspirators. After her release she was followed by the secret police for some time. She then fled Munich for Aschersleben, near Leipzig, where she married again and opened a puppet theatre. The final White Rose leaflet was smuggled out of Germany and intercepted by Allied forces, with the result that, in the autumn of 1943, millions of copies were dropped over Germany by Allied aircraft. Since the end of the war, the members of the White Rose have become celebrated figures, as German society has searched for positive role models from the Nazi period. But Furst-Ramdohr doesn’t like it. “At the time, they’d have had us all executed,” she says of the majority of her compatriots. She now lives alone in a small town outside Munich, where she continued to give dancing lessons up to the age of 86. Her friend Alexander Schmorell was made a saint by the Russian Orthodox church in 2012.